It is officially my favorite time of the year: Watermelon Paloma Cocktail time! You thought I was going to say Christmas, weren’t you? Well, you’d still be right. 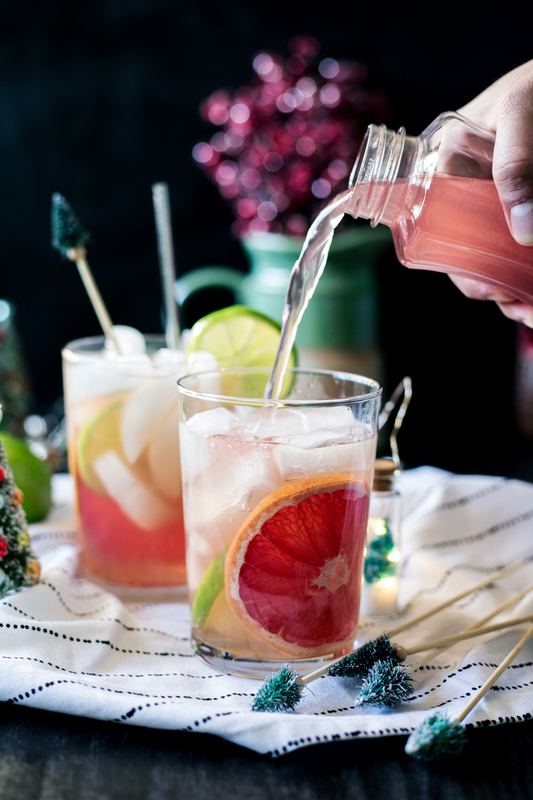 Christmas and a mouthwatering watermelon paloma cocktail are really the only things I require to live. Fo realz. I love a cozy evening at home during Christmas season, and it’s way better when friends and cocktails are involved. You know my mixology is spot on, what with my chocolate covered cherry peppermint martini, and pomegranate grapefruit punch. Holla atcha guuuuuuurl. We like to get our drink on. 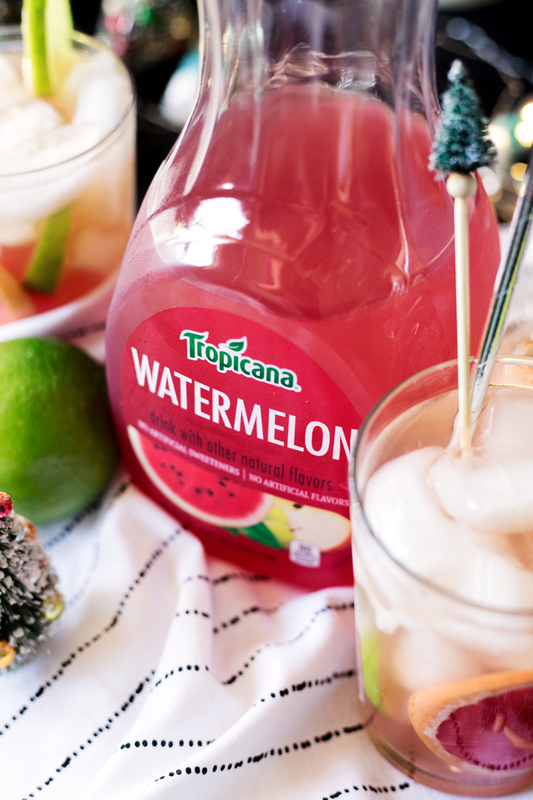 My friends know I’m about to get crazy delicious with my at-home mixology when I whip out one of Tropicana’s Premium Drinks, so it’s no surprise how simple and delicious this watermelon paloma cocktail turned out. Ladies love Tropicana in this house. We were able to make so many delicious drinks, we stayed up way past our bedtimes just chatting and having a good time. We have early bedtimes. Mom life. Word. With no artificial flavors or sweeteners, we really felt like we weren’t cheating on any of our non-existent diets with these Tropicana Premium Drinks. It’s like wine. Except not wine. Cause, tequila. 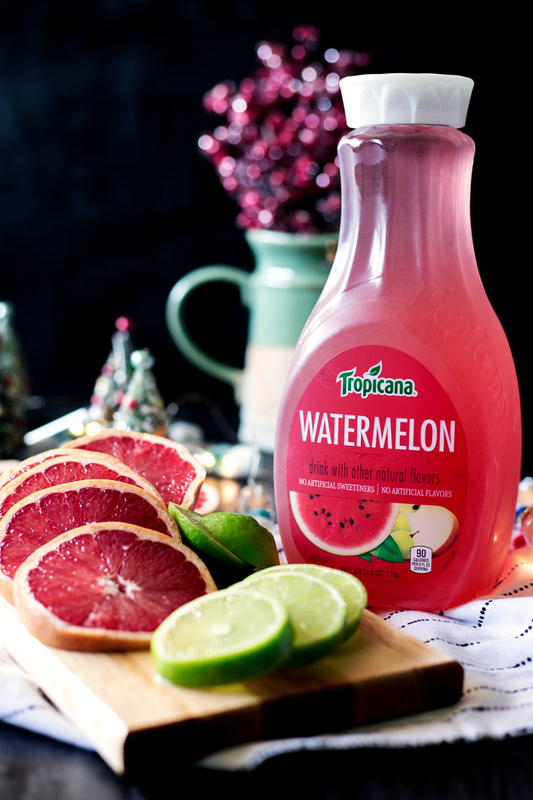 I may or may not have sneaked a drink or two of my Tropicana Watermelon, because it’s just so yummy on its own, but then I remembered that hello, cocktails? It’s such an amazing mixer. 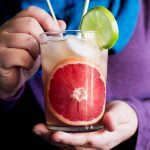 Since basically all you need to do is dump some ice in a glass then pour in tequila, grapefruit soda and Tropicana Watermelon Premium Juice Drink, our weekly ladies night was off and running in a hurry. So easy. 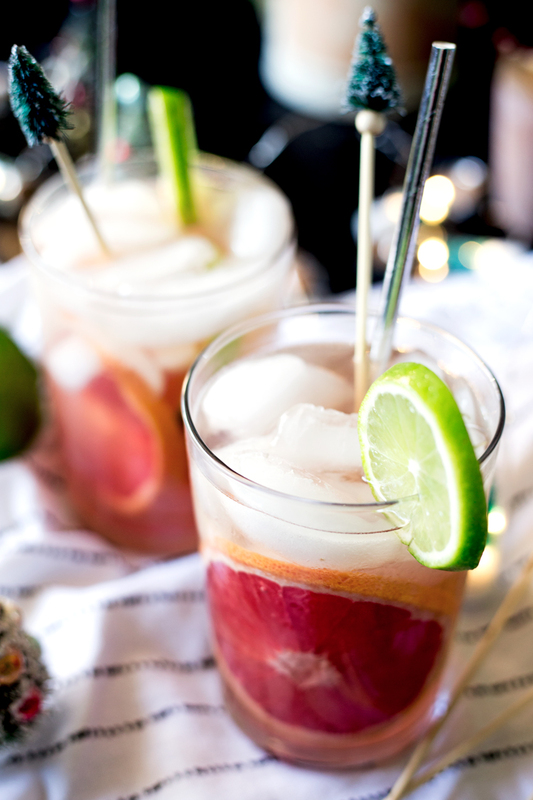 Are you ready to elevate your ladies night with a watermelon paloma cocktail? What kind of drink would you mix with Tropicana Premium Drinks? Tell me your favorites! 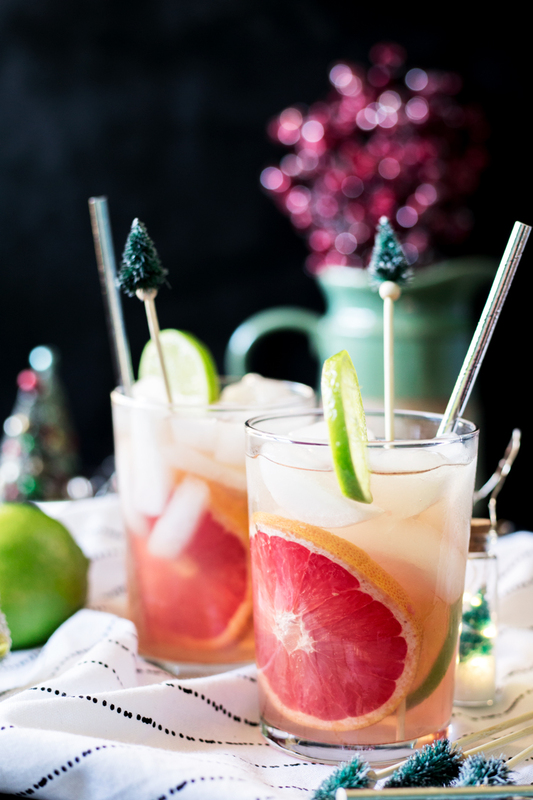 In a tall glass filled with ice, add the tequila, followed by the grapefruit soda and Tropicana Watermelon. Gently stir and serve immediately. 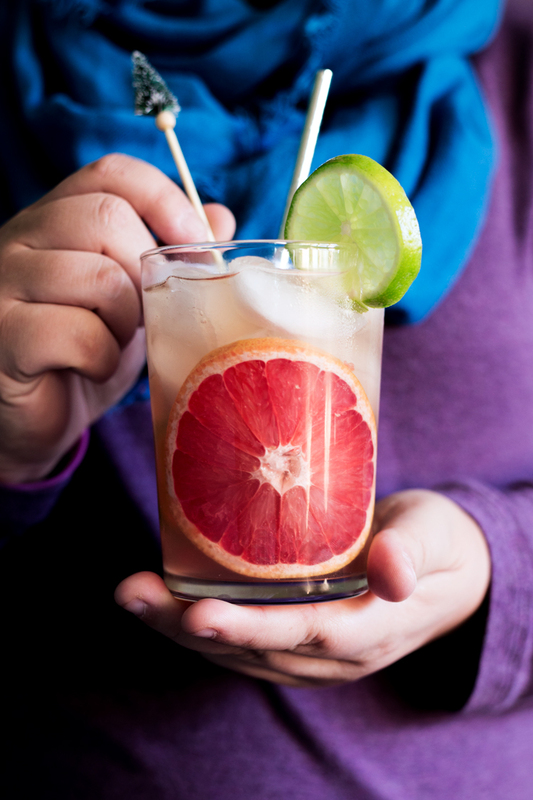 Garnish with ruby red grapefruit slices and lime wedges for a fun twist! Yummy!!! This cocktail looks stunning!! !